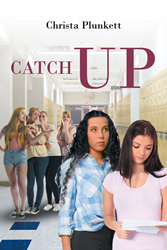 Recent release “Catch Up” from Page Publishing author Christa Plunkett is an enjoyable narrative of a young woman’s struggles as she tries to make it through teenage drama, which involves bullying, unpopularity, and awkwardness. Christa Plunkett, a professional writer with a passion for creative expression, has completed her new book “Catch Up”: a memorable journey towards self-worth as Cass, a young girl experiencing ungainly teenage moments, desires to reconnect with her neighbor and friend Brad, believing him to be the sole sweet escape from the distressing adolescent drama. Published by New York City-based Page Publishing, Christa Plunkett’s tantalizing novella exudes a charming and whimsical feeling as the readers explore the main character’s youthful life and idealistic ventures. Will Cass and Brad ever manage to continue where they left off, and take things to a whole new level? Readers who wish to experience this heart-rending work can purchase “Catch Up” at bookstores everywhere, or online at the Apple iTunes store, Amazon, Google Play, Kobo, or Barnes and Noble.